Growing up in this industry, I’ve had the unique perspective to really get to know and understand the plight of a green industry business owner from my family member’s landscaping company. One issue he faced was working with a variety of marketing firms that promised to deliver leads and sales, often to varying degrees of success. I now sit on the other side of the aisle, working for a marketing agency, so I’ve put together a list of the top things you need to look for when working with an agency to help you achieve your goals. 1. Align your objectives, goals and expectations. When considering any marketing program, whether done internally or through an agency, establish clear objectives, including SMART (specific, measurable, achievable, relevant and time-bound) goals. A good agency will help you establish a specific outcome, setting measurable benchmarks to assess performance that are based on achievable/realistic metrics, over a specific set of time. An agency should work with you up front to set these goals, allowing you to establish clear expectations between the two parties. 2. Look for an agency that maps your client’s decision-making process. Who knows your customers more than you, right? That’s often the sentiment I hear from business owners during marketing assessments. However, working with a trained agency to conduct consumer interviews helps identify important steps consumers take as they go through the decision process. 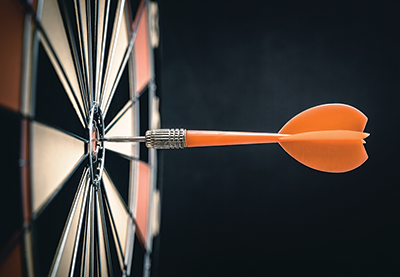 From here, an agency can help identify clear characteristics that your best customers have, allowing you to target other prospects who match them. This process also helps other teams at your company, such as customer service and sales, when trying to provide the best client experience. 3. Work with a firm that uses platforms based on your target audience. After developing a comprehensive description of your ideal consumer, a good agency will help you develop a plan using the media channels that will help you reach them. If your target consumers do not use a specific channel or platform, there’s no sense in advertising on it. An agency should be able to put together user data on each platform, indicating possible performance on that channel. A forecast using this information can help you put together benchmarks and goals, calculating a possible return on investment. Far too often you’ll find agencies that will recommend a variety of platforms they specialize in, instead of taking this approach. When meeting with you, a good agency will be able to tell you why certain platforms make sense, while others do not. 4. Ensure your agency believes in total transparency and access to your ad campaigns. Secrecy and deceit are never a good thing in a relationship. It’s even worse in an agency-client relationship. Too often I meet with companies who’ve paid for digital advertising from an agency, only to have been “locked out” or never given access to reports or information within their accounts. While this practice isn’t technically violating any laws, it makes me angry when I hear about it. The protection of intellectual property is a difficult conversation when it comes to working with any agency, but a true partnership is built on openness and trust. When you hire an agency, establish your expectations on transparency levels and access to your advertising platform accounts. To protect yourself, I recommend you open an account with each advertising platform you plan to use, granting access to the account to your agency of choice. This way, you retain ownership rights to the account and can change access at any point, in case your plans change. This method ensures you have access to your historical data, allowing you to continue to build off of your past efforts, instead of recreating your efforts from scratch. 5. Find a firm that provides clear reporting and shows your ROI. Return on investment is the most important aspect of any marketing campaign. That’s why it’s important for any agency to provide you with clear metrics. As marketing platforms have progressed, so have the metrics they can provide you. With most internet marketing platforms, these metrics include clicks to your website, completed web forms and even call tracking. It’s important to establish which metrics are necessary to measure your business objectives up front, that way you and your agency can determine the benchmarks to measure performance against.